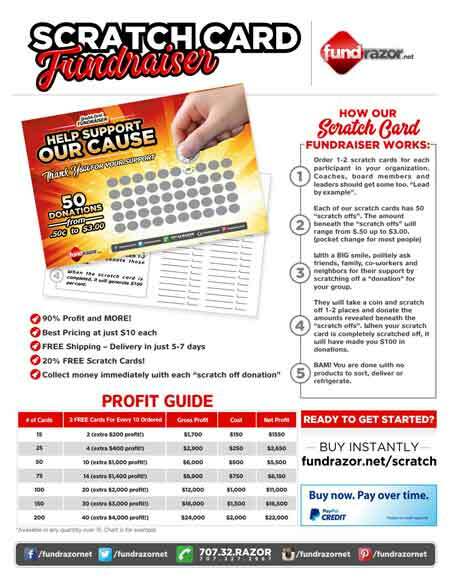 Save over 50% while making over 90% profit with the Fundrazor Scratch Card Fundraiser. The best fundraising idea for any size of group whether Big or Small. ACT NOW and get 2 FREE scratch cards with each 10 purchased. 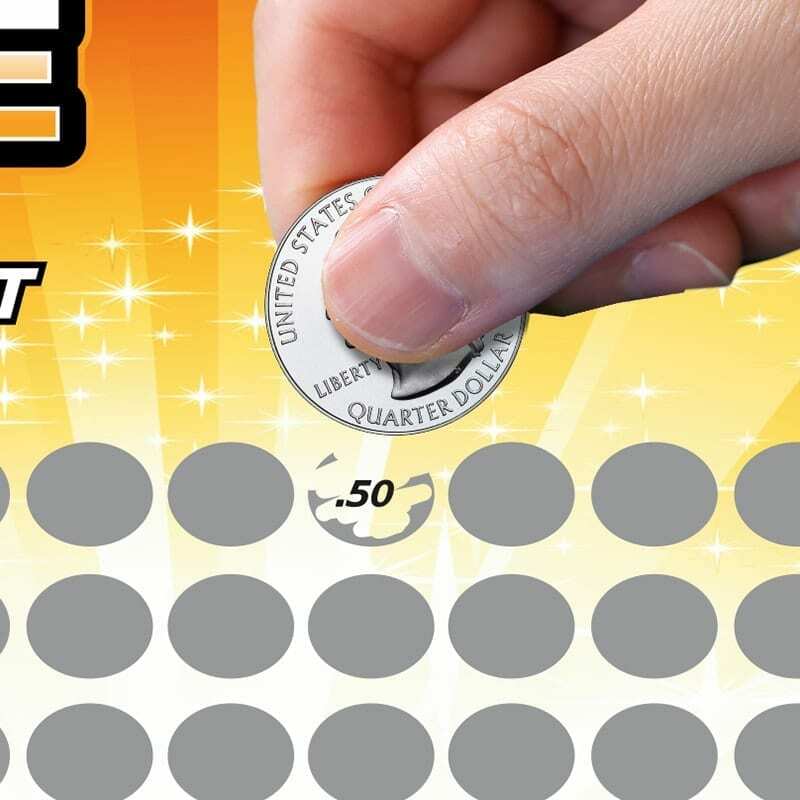 Our scratch cards have 50 round places or “scratch offs” that you take a coin to scratch or rub off. Kind of like scratchers for jackpots except these are NOT for gambling, but for FUN and SUPPORT. Beneath the scratch off places, there are dollar amounts printed ranging from $.50 up to $3.00. (pocket change for most). 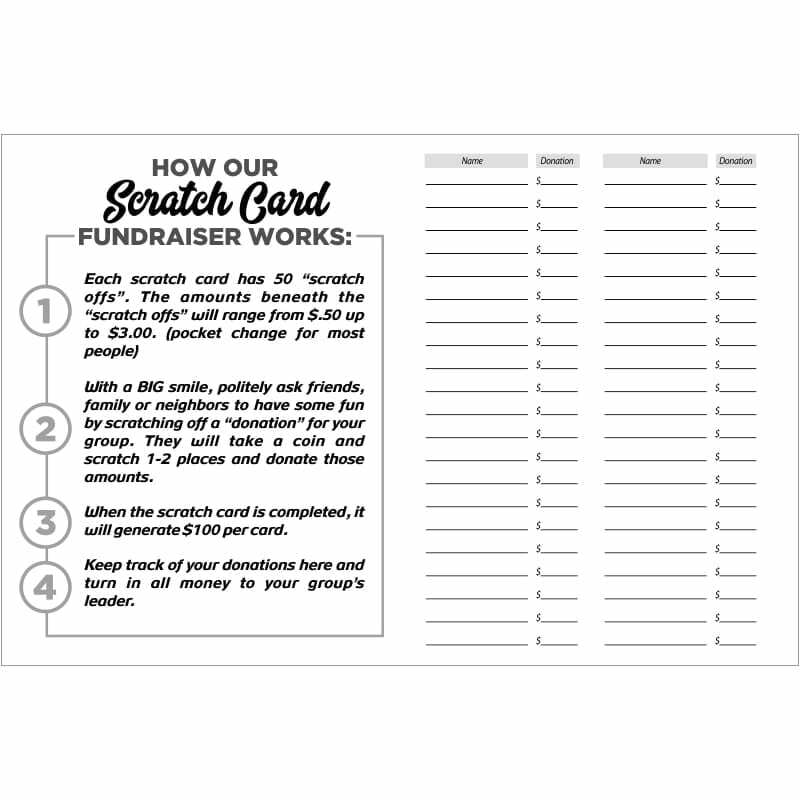 The member of your group will politely ask people to “scratch off” a donation for your group. The dollar amount revealed beneath the “scratch off” place is the amount donated to the member of your group. 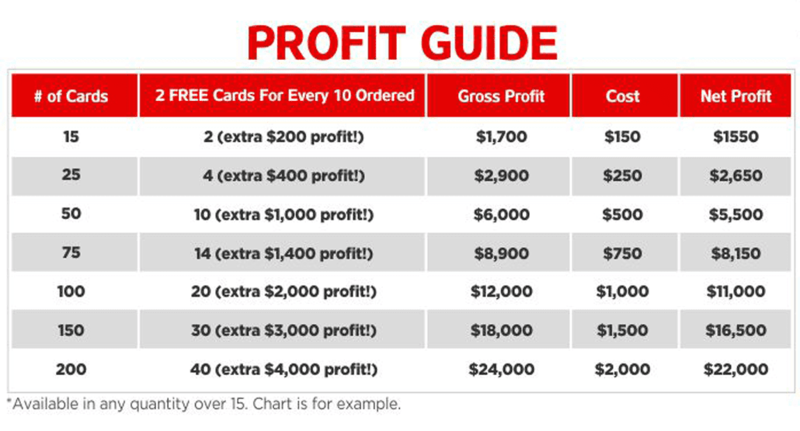 Once they have the card completely “scratched off”, they will have made $100 cash and sometimes more for your organization. Simple, huh? Why do Fundrazor Scratch Card cost 50% less than most? Simple. Because our scratch cards don’t have a sheet of coupons with no value attached. Our customers know that every cent counts when you are raising money for your non-profit group. Fundraising companies that charge $20 per scratch card are also billing you for a sheet of coupons. Often times, these coupons are for an item that is already on sale or not available to your area. Can you say “worthless”? If necessary, we encourage customers to make their coupons from merchants in their local area which is great for the local economy too. #1. Always encourage safe behavior with adult supervision and people that you are closely associated with like family, friends and neighbors. #2. Market your group’s endeavor at the entry of a grocery, department or convenience store. #3. Big Smiles are contagious. #4. A genuine “Thank you” goes a long way. #5. Make a contest among members. Reward the person that completes the most cards or turns in all the money the quickest. Just like all online shopping, our scratch cards are paid for in advance, then shipped to you within 5-7 days. When paying with a credit card, your fundraising dollars will be collected from your group before you get your credit card statement. Most groups will have the money collected from their members in under 2 weeks. We proudly accept your payments through Paypal which is safe for both you and us. No money, not a problem with approved credit from Paypal. The beautiful thing here is that you would receive your scratch cards, pass them out and complete them and have your profit before you receive your first statement from Paypal. Now that is fundraising that doesn’t hurt your pocketbook.